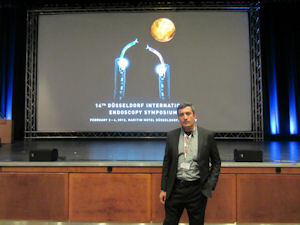 In the highly reputed endoscopy department of the EVK Düsseldorf, Dr. Sahab could further improve his skills during a three month Visit to Prof. Neuhaus, Dr. Schumacher and the endoscopy team. Aditionally, he was invited to the 14. International Symposium for Diagnostic and Therapeutic Endoscopy in Düsseldorf, February 2. to 4.. The Foundation Wienbeck would like to thank the team in the EVK for the very competent and commited support for Dr. Sahab. 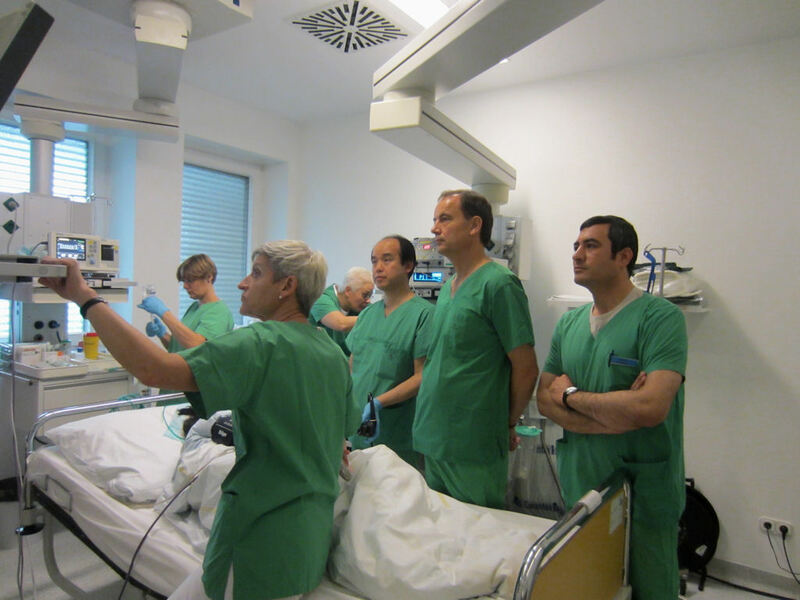 In the front, from left: Dr. Schumacher, a visiting Japanese doctor, Prof. Neuhaus, Dr.Sahab.